It amazes me that this series hasn’t lost any luster for me yet. The build up of all the characters is slow but steady. I always enjoy these books and anticipate what will come next. Honestly, when I started this I was apprehensive and even had to call one of my blog partners to make sure there wouldn’t be demonic happenings in this story. Eve’s latest case involves witchcraft and of course, murder. Ritualistic killings that are chilling in detail. Eve has to clear a deceased colleague which puts her at odds with Feeney, her mentor. Their big blow up scene left me in tears. Pain and anger are horrible feelings that evoke even more horrible responses. Guilt eats at Eve, to her very soul. She has to investigate a colleague, murders and fear for her very life. People are falsely accused and reputations left in tatters. The bad guys in this story are very bad and crazed. With the help of her usual cohorts she cracks this case where nothing is as it seems. 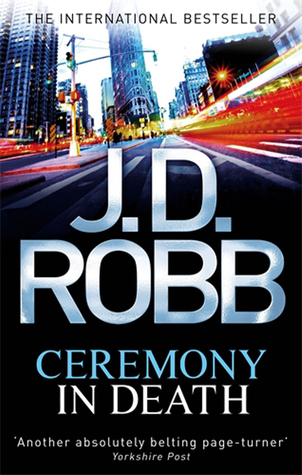 As usual, J.D Robb spins a great mystery and the ever growing love of Roarke for Eve. He is a great romantic lead male. I’ve already started the next book and look forward to the latest mystery unfolding before me. 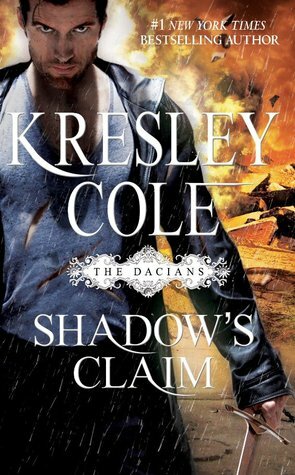 Trehan Daciano is the Prince of Shadows from the kingdom of Dacia. He is an assassin tracking Caspian, a demon that escaped from his secret realm. When he arrives to the kingdom of Abadin on Caspian’s trail, he finds Bettina. Bettina is the princess and soon to be queen. His vampire heart starts beating and he realizes she blooded him. That means she is his mate. Bettina fights their attraction for all she worth. To win Bettina, Trehan has to enter of fighting contest which is a last man alive contest. The winner of the contest gets the princess and gets to be King. 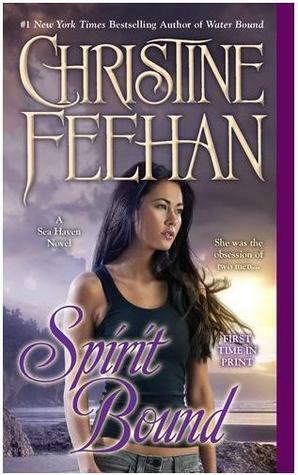 I loved Trehan as a hero but Bettina drove me nuts! Constantly moaning over a guy who made it plain for all to see that he didn’t want or love her. I thought Trehan deserved better. This was my first audio book and I think I liked listening to it better than if I would’ve read it. I had a great narrator. Over all I enjoyed this book and look forward to the next one but probably only in audio format. I apologize for any and all misspellings as I didn’t read the book, I listened to it.